Soon after Ford, Maruti and Renault made their plans official, General Motors is the latest to believe that compact SUVs are the way forward in India. Financial Chronicle newspaper is carrying a story with the newly appointed president of the Indian operations on record about their interest to build one. Is GM going to build a Sonic-based SUV similar to the Encore or body an SUV on the Sail? There is an opportunity for us to do a small sports utility vehicle. Indian consumers are looking for is a small nimble and efficient SUV. In our interaction with GM's sales head at the Auto Expo, we sensed GM were working on a small SUV. General Motors has access to the cost-effective Fiat Multijet engine which they can manufacture at the Talegaon flexible engine plant. The Smartech petrol engine series are perfect for the mini SUV application and GM's on standby with CNG and LPG technology. The question arises on the platform that will be utilized to execute the plan. 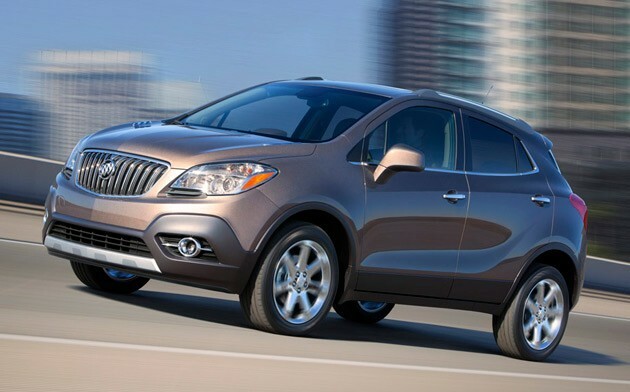 GM showcased a mini SUV under the Buick brand named "Encore" in the US. Chevrolet (name undecided) and Opel (Mokka) will sell a similar SUV in markets where they have a strong presence using their branding. GM India shelved the Sonic project and chose the Sails to replace the Aveo twins. This leads to an important question - Will they work closely with SAIC to body a SUV on the Sail underpinnings? Or will they introduce the Sonic-based crossover once the Chevrolet edition is ready to head out to the market?